LELANTA has been gracing our Sag Harbor for decades. 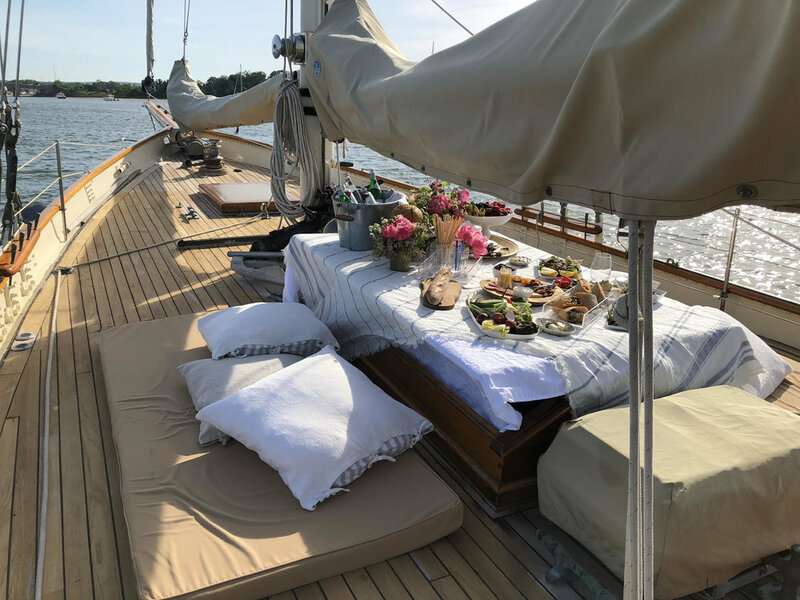 See and be seen aboard the largest and most historic charter yacht in the Hamptons. LELANTA was custom designed by famed yacht designer John Alden in 1929. After being launched in 1930 in time to compete in the fastnet race in England, she spent the next thirty-five years cruising around Europe. In the 1960's Lelanta entered the charter trade. She spent summers in New England and winters in the Caribbean. In the ninties she was completely refitted, and in 2002 she was relaunched as virtually a new 1929 Schooner. Perfect for an outing with family and friends or a lovely backdrop for photoshoots.